Armyworms are destructive lawn pests. There are four types of army worm that exist in Central Texas. They are the fall army worm, the yellow-striped army worm, the beet army worm and the regular army worm. The fall army worm is usually the one that causes the most problems for your lawn. In this article, we’ll learn more about fall army worms, their habits and how to get rid of them. Contrary to the name, army worms are caterpillars. They’re about 1 ¾ inches long. They are most active at night and tend to hide underneath garden and lawn debris during the day. Fall army worms, the ones that cause the most havoc in Texas lawns, are brown with yellow stripes. They get their name because they travel in small insect packs, marching along like little armies and consume just about everything in their path. How do I detect army worms in my lawn? The earlier you detect army worms, the easier it is to treat your lawn for them. Since they are a night creature, you have to learn to notice the signs because you might not see the actual animal right away. Two giveaways can tell you if you have a potential army worm problem. There’s an increased presence of birds in your lawn. Birds will eat the caterpillars, but they won’t get enough of them to make your lawn healthy again. You have tell-tale brown spots on your lawn. It’s also important to note that certain conditions make an army worm infestation more likely to occur. High egg survival of fall army worms is favored by above average rains in both August and September. When should I worry about army worms? Armyworms should be considered a real lawn problem when they occur in large numbers or your lawn damage is excessive. Fall army worm attacks usually occur in late summer and early fall. You should check your lawn if you suspect you have an army worm problem. Count the number of army worms in a square foot area of your lawn in eight different sites. Divide the total worm count by 8 to find the average number of army worms your lawn has. Be sure to take samples from the interior of your lawn because that’s where they’re at their heaviest concentrations. More than three to four army worms per square foot is considered excessive and you should treat your lawn for the pest. How do I treat my lawn for army worms? We suggest you call a trained lawn care specialist like the ones we have at Emerald Lawns to handle the army worm problem in your lawn. We will mow the grass short and water it well to move the army worms into the light so to speak. Then, we will spray the grass with a liquid insecticide. Granular insecticides are generally less successful with army worms. We will then suggest that you leave your lawn alone for at least three days without mowing or watering. This will give the insecticide a chance to do its work. 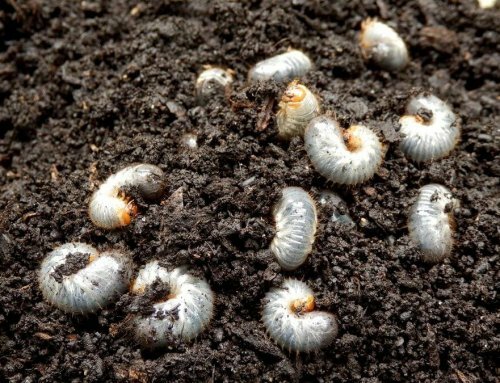 If you find out that you have an army worm problem, the best thing to do is to call in a professional as soon as possible to help remove them. At Emerald Lawns, we’re happy to help you get the army worms out of your lawn. Give us a call today at 512-990-2199 if you suspect an army worm infestation.